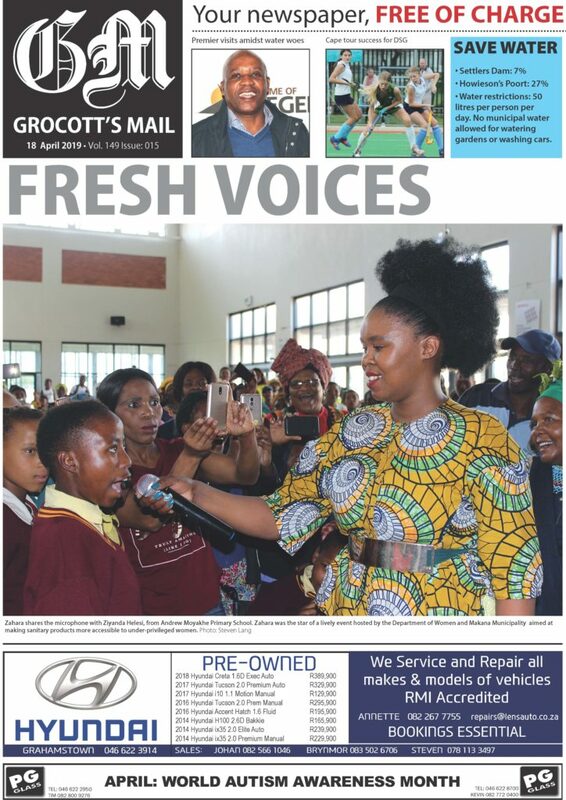 Grocott’s Mail asks DA Premiership Candidate for the Eastern Cape Nqaba Bhanga to explain how he believes the party’s strategy – as it effects the coalface of local government – is different to the ruling party. And what the DA is doing to shed the perception that they serve business, rather than ordinary people. What’s wrong with Makana and what’s needed to fix it? Is it as simple as misuse of funds? Infighting in the ANC has put us where we are. There has never been cohesion in managing the issues in Grahamstown. The problem is incompetent people are appointed because of political patronage, who don’t have the capacity. You can’t rehabilitate Grahamstown under an ANC government. It doesn’t have the quality of political leadership or the vision to turn around a collapsing municipality. This thing has been happening for years and years. The municipality’s political leadership says Makana has turned a corner? Yes Makana has turned a corner… for the worse. 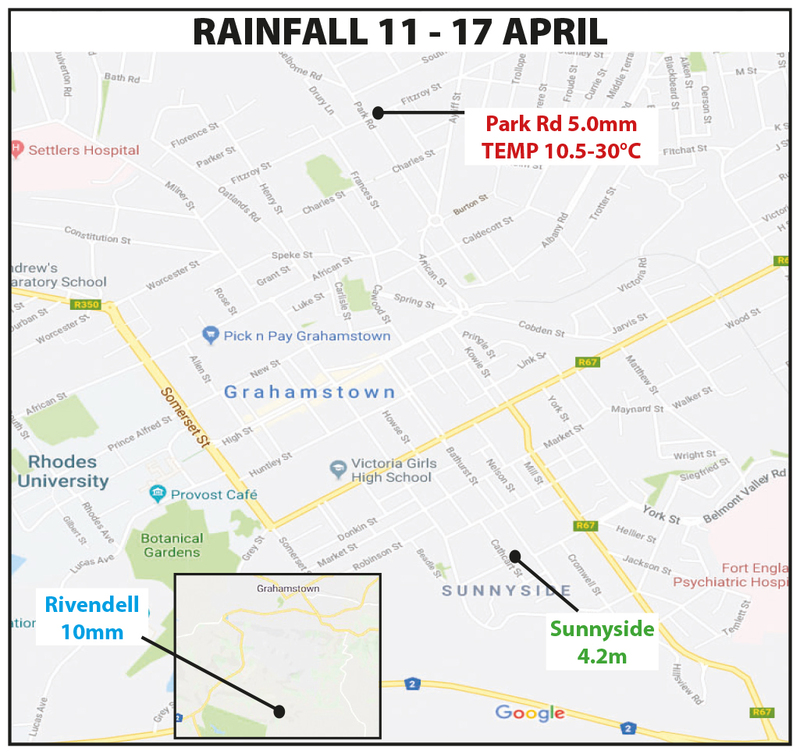 Grahamstown is close to Day Zero. That’s how they’ve turned a corner. Political patronage has resulted in maladministration and financial collapse. Makana has collapsed because it can’t collect revenue and so it can’t deliver services. Money for services has been redirected to salaries for quite some time in Makana. There’s a collapse of water services, and now [imminently]electricity [cuts due to non-payment]. The town can’t function and there’s rubbish and sewage everywhere – but they continue to wear beautiful suits, to look the part, without a tangible vision. You can’t rehabilitate the town under an ANC government. The DA is the only organisation that can turn around cities that have collapsed. We can put in proper leadership and turn around this town. We have done it in PE. But you can only do it if you are able to budget and allocate money to fix the infrastructure. The ANC doesn’t believe maintaining existing infrastructure is a long-term investment. What they want is massive delivery that people can see. They don’t believe that putting money into infrastructure is going to win them votes. To them it’s about votes. To us, it’s about making towns work. Maintaining infrastructure so that businesses come and invest – that’s not the ANC’s interest. When we are in government we invest money in maintaining infrastructure. 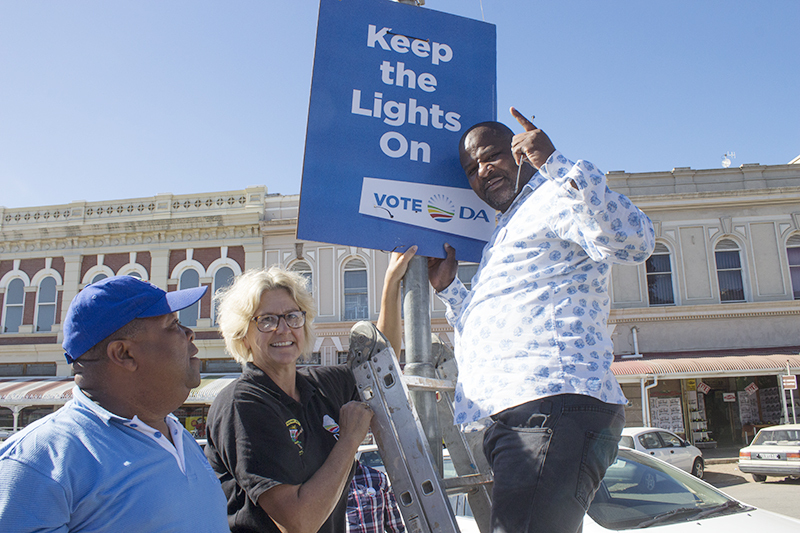 When our children take over, they should not face the problems we face today in Grahamstown. The ANC doesn’t have the vision to plan ahead. So, yes, they’ve turned a corner and collapsed Grahamstown. For every party, visible performance is important, and so we end up being at the mercy of endless five-year cycles of local and national elections, with both the ANC and the DA requiring to be seen to be doing things. Surely until we change this system, this problem of ‘visible performance’ – huge delivery so people can see it – remains? What’s to stop the DA falling into that same trap once they are in government? As long as we have the system [proportional representation]where people elect parties, we are still going to have this problem. We must be given the opportunity to elect our President directly. I’m telling you, a long time ago we would have had Mmusi Maimane as the President. In doing that, you will take away this thing of a party wanting to run a state. [Instead] South Africans will choose a capable person to run the affairs of the Republic. The DA, where it governs, we select individuals who are capable. Not on the basis of the party. Our system is even open for people who are not members of the DA to be public representatives. For example, there’s a man from the NPA on our list – the spokesperson of the National Prosecuting Authority. Because we look for diverse South Africans with skills. We don’t look for the colour of your T-shirt – we look for individuals who can contribute in building South Africa. For example, Jane Cowley is a teacher. In Nelson Mandela, we even appointed people who are ANC because of their expertise. People like [Nelson Mandela Bay City Manager] Johann Mettler for instance, and Nolwandle Gqiba. They’re not DA, they’re ANC. Because we look for capability. We want to build a state where public servants are not appointed based on political alliance or colour, but on the basis of capacity. That’s how to build a strong administration that can deliver services and a South Africa that works. That way, even when the government changes, the administration remains strong. When the new government comes, the infrastructure continues because it’s been established on firm foundations by people loyal to the country, not a party. That’s why we separate the party and government – politics and administration. We draw a line and say administrators must focus on administration, not politics. Politicians must focus on providing political leadership, not administration. It’s been a long journey for the DA, but I think it’s very difficult for it to shed the baggage of being perceived to serve the elite – specifically business. I’m not apologetic about working with business. I’m really not apologetic, and the DA should not be. Because business plays a pivotal part in building a prosperous South Africa. These are the same people who create job opportunities, who grow the economy. They are critical and the DA is correct to build that firm foundation. It’s not government that’s supposed to create jobs. But if you build a strong foundation for business to come and invest, and build the right infrastructure to expand businesses and the broader economy – that’s how economies in successful countries continue. I’m not apologetic. That is a healthy relationship and should continue to grow. But what we’re saying as the DA is the haves must be able to support those who don’t have. Those who are left behind – we must walk with them to build a prosperous South Africa. When people are left behind, that’s when you’ll have chaos. Everyone should be able to live in prosperity. In particular, people in rural communities should not be left behind. We have our support base among the poor, the middle class and the rich. We are the only party that is so diverse. That’s a difficult line for you to tread because that cross-subsidisation is traditionally through taxes. It’s difficult because of your relationship with business – yet you’re relying on them to subsidise the have-nots. How do you negotiate that? We’re saying, as the DA, cut the bureaucracy and allow business to grow in order for it to be able to facilitate employment. If businesses can function easily, they’re able to subsidise the economy through employing people. If business works, and we have the right infrastructure, you’ll have people who will have the confidence to come and invest in our community. When they invest, opportunities are created. To us, it’s all about jobs, because if you empower people with jobs, you are able to build the foundations of families that are strong and have dignity – because they’re able to feed and educate their children.